What a fabulous day at Agape Christian Academy! We taught from 9 to 5 with only a break for lunch. Four Bible classes and a music class! We are teaching from Experiencing God, instructing the students how to know when God speaks and directs us. We continue to teach vocabulary daily as we see that what we THINK they know, they don’t know! Speaking English here is like us speaking Spanish in Cuba. The Headmistress informed us that we are to have our exams ready for our classes by Sunday morning, so that she can copy them for all the students. Whoa! We will be monitoring for exams next week as they are taking their beginning exams for the new year. So, our work continues day and night, and we could NOT be happier! Look at the progress on the kitchen! 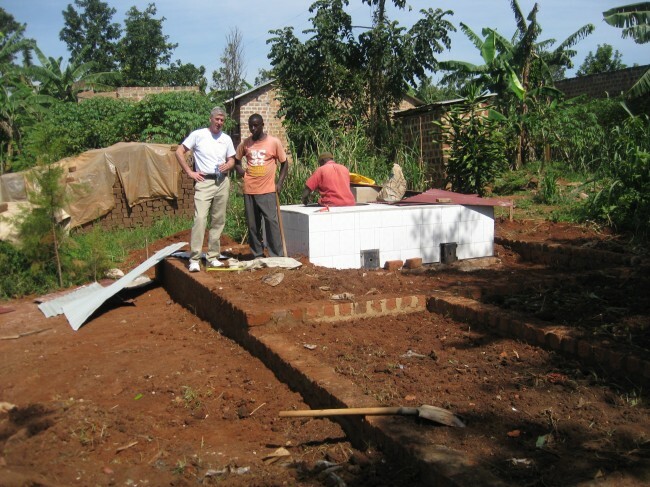 We went to Kampala earlier this week to buy huge cooking pots for the new stove (the big white structure to the right of Moses)! We are sending some photos of our trip yesterday to the slums in Kampala with Pastor Sam Mutongale, a SIFAT graduate, and his wife, Josephine. They have a Tools With a Mission workshop, where people make clothing, do carpentry and learn computer skills. It was amazing! 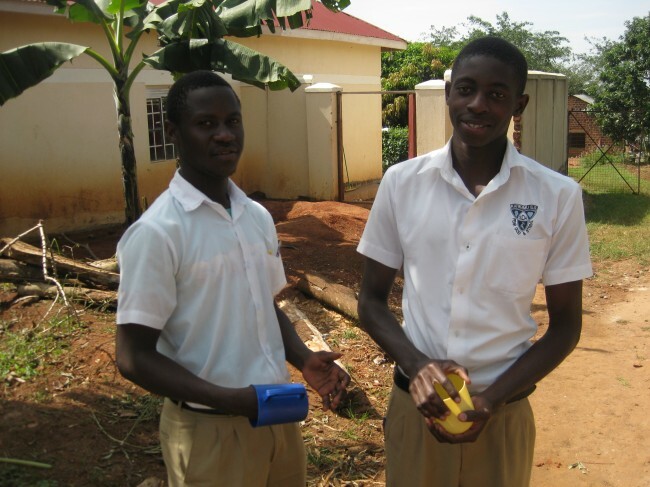 God continues to amaze us with all that HE is doing here in Uganda. This is one of the classes in the school we visited. 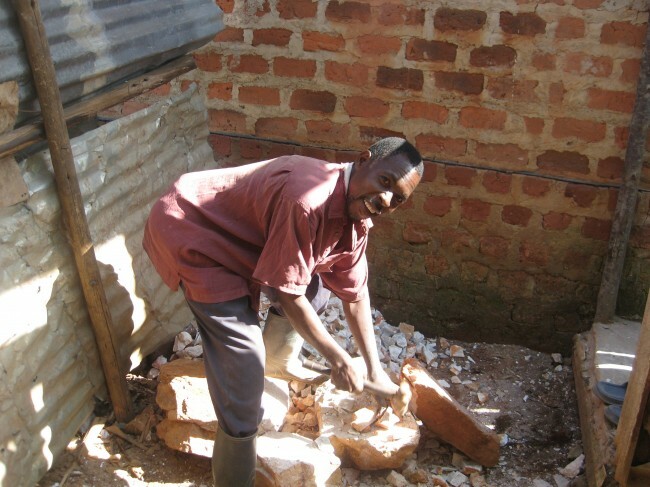 When we arrived at the school in the Kampala slums, the Headmaster was breaking a large rock into smaller rocks with a hammer to be used in the flooring of the school! Sam helps with several schools in the slum. 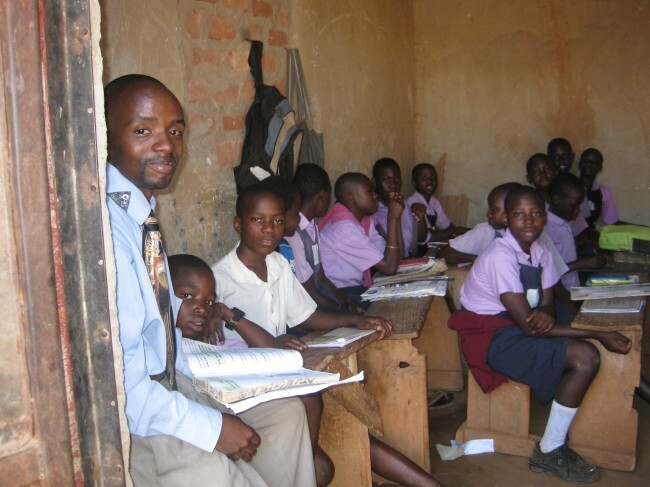 The Headmaster of the school (pictured above) we visited is a wonderful Christian example to his students. 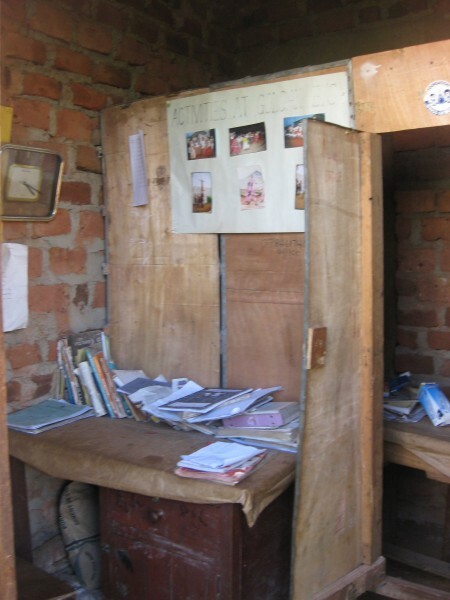 This is the Headmaster’s office.